West Medford, Massachusetts has been home to a thriving African American community, where families have lived for generations since the end of the Civil War. The stories of its residents have been fading as elders die and families move away. Most of the history of this neighborhood resides within the memories of these few remaining elders. The discovery of over one hundred funeral programs, saved and collected by residents since the mid-twentieth century, tell the stories of residents who have passed on but made countless contributions to the community. These funeral programs, along with supplemental interviews, illustrate how past residents developed community resources and used ingenuity to help create a strong neighborhood of their own. Within these pages are stories of personal perseverance and tenacity, humor and resiliency. 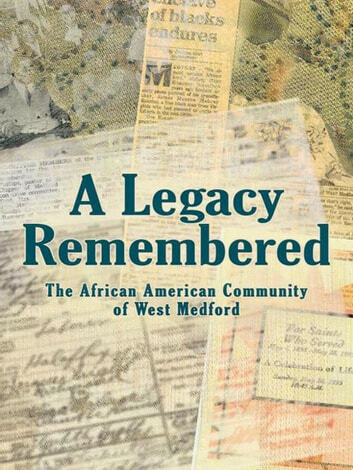 Through portraits of individuals, West Medfords African-American neighborhood of the past is documented, through the sharing of the lives of men and women, and how they interfaced to create a solid community, despite societal and economic obstacles.